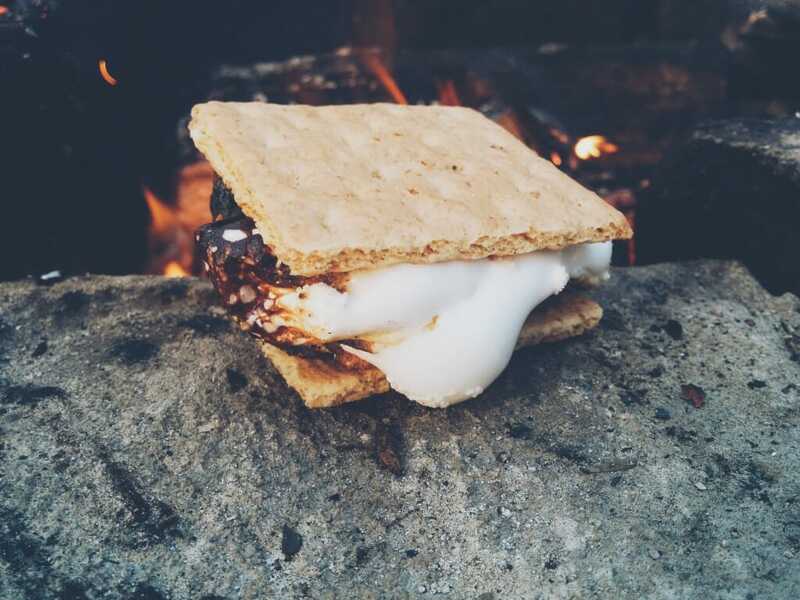 To this day, it’s still unclear who first thought up the idea to sandwich a molten marshmallow between two graham crackers, but most people say the earliest s’more recipe comes from the Girl Scouts handbook of 1927. The concept it quite simple: the hot, gooey marshmallow melts the chocolate ever so slightly while the salty, crunchy graham crackers provide the perfect finger saving vessel. It’s the perfect camp fire treat made better by only one thing: homemade marshmallows. Pulling off homemade marshmallows is easier than you think. Besides, when you make them yourself, not only do you know what’s in them — but you can add any number of seasonal flavours to the mix! In June, we love adding strawberries to the mix. In January — out comes the icewine. There’s so many delicious things you can do with homemade marshmallows — including, our favorite: The Perfect S’more. Originally, marshmallows had marshmallow root in them — hence their namesake. Funny enough, they used to be good for you and were often used as a remedy for sore throats. Confectioners in early 19th century France pioneered the innovation of whipping up the marshmallow sap and sweetening it. The process was super difficult though, and soon the marshmallow root was left behind in favour of egg whites or gelatin. When it came over to North America, vanilla was scarce. People would make these sweet treats with honey and flavour them with rosewater. Whatever the history, today, marshmallows are a camping main stay. Whether we’re ending our cook outs with a s’more or dropping one them into hot chocolate, these sweet little treats are synonymous with camping. This is a fun pre-camp project to do with the kids! 2 teaspoons pure vanilla extract -- or strawberry puree/icewine/cherry syrup etc. Brush a 9-by-13-inch glass baking dish with vegetable oil. Line with parchment paper, allowing a 2-inch overhang on the long sides. Brush parchment with oil and set aside. Attach bowl with gelatin to mixer fitted with the whisk attachment. With mixer on low speed, beat hot syrup into gelatin mixture. Gradually raise speed to high; beat until mixture is very stiff, about 12 minutes. Beat in vanilla (or other flavouring). Pour into prepared dish, and smooth with an offset spatula. Set aside, uncovered, until firm, about 3 hours. Sift 1 cup confectioners' sugar onto a work surface. Un-mold marshmallow onto confectioners' sugar; remove parchment. Lightly brush a sharp knife with oil, then cut marshmallow into 2-inch squares. Sift remaining 1/2 cup confectioners' sugar into a small bowl, and roll each marshmallow in the sugar to coat. Marshmallows can be stored in an airtight container up to 3 days. Do not refridgerate! They will melt. Ontario Parks is the branch of the Ministry of Natural Resources that administers the provincial parks in Ontario. Ontario Parks cover over 78,000 square kilometres of the province. That�s about 10 percent of the province�s surface area or the area equal to all of Nova Scotia! Ontario Parks� mandate is to protect significant natural and cultural resources in a system of parks and protected areas that is sustainable and provides opportunities for inspiration, enjoyment and education: now and for future generations.